Model “Tecno Lift Up” tank is entirely in stainless steel and its peculiarity is to have a lifting display surface by side pistons in order to facilitate the cleaning inside the tank. 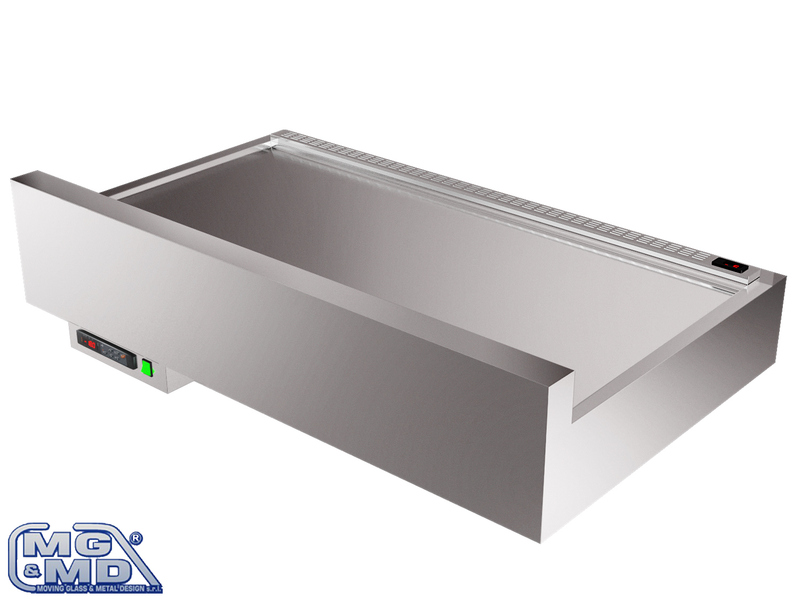 It has a great performance cooling of evaporator that allows to get the work temperature without the using of structure for cold containment. 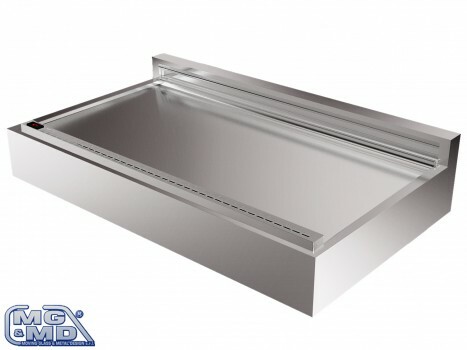 “Tecno Lift Up” recessed refrigerated tanks have welded bottom, profiles of junction in pvc and insulated body by ecological low-density polyurethane.